Toro's 5 Amp. 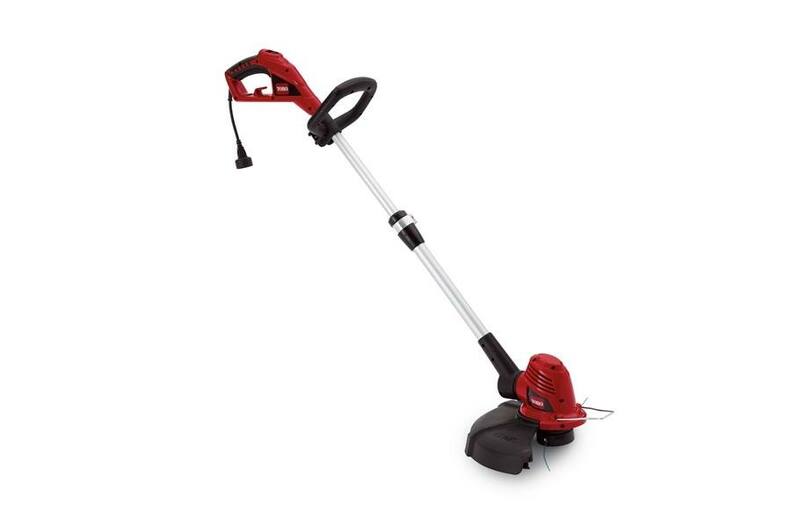 string trimmer and edger are powerful and durable, with high-performing features that make yard care seem effortless. 14 in. wide dual line cutting width gets the job done quickly and user friendly features make the job much easier. With a simple 1-step push button, the operator can convert to edging in seconds and the wheel guides the edger for precision trimming . Line Type: Dual Line 0.065"
Shaft Style: Telescopic - 9"